Not only are our chefs passionate about produce, but they are always keen to showcase their skills and try their hand at new recipes. So when we laid down the gauntlet for our latest chef competition at Ayrshire College, there were no shortage of willing contenders. 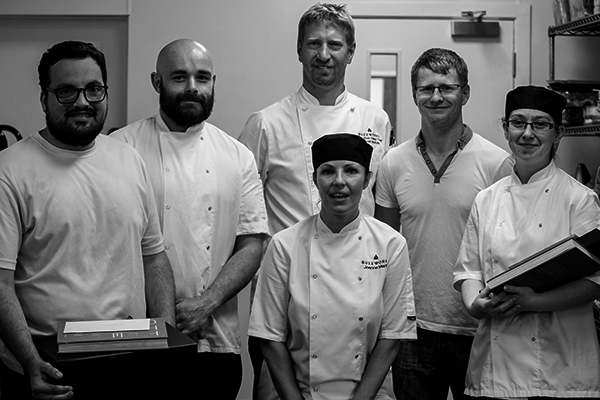 14 of our Commis and Chefs de Partie took part – all nominated by their Head Chefs. Brand Executive Chef Duncan McKay kicked things off with a live cookery demonstration. He set the bar pretty high for all our contestants, who were given the challenge of creating his dish. Skate wing with pea and asparagus risotto, and brown shrimp butter sauce. After a closely fought but always fun cook-off, Gabriella Crawford from Millhouse claimed the top spot. With Jacopo DellePiane from Lido Troon in the runner-up position and James McKinlay from Treehouse taking third place. Congratulations!